Suzuki (Hiroshi Mikami) is an eccentric at university hospital who has been conducting a research to come up with a miracle drug for cancer on his own. One day, Suzuki finally succeeds in developing a new type of anticancer drug that completely hinders the self-renewal of all cancer stem cells. However, his colleagues do not seem to share his excitement. and he is not even allowed to carry out clinical trial on human. 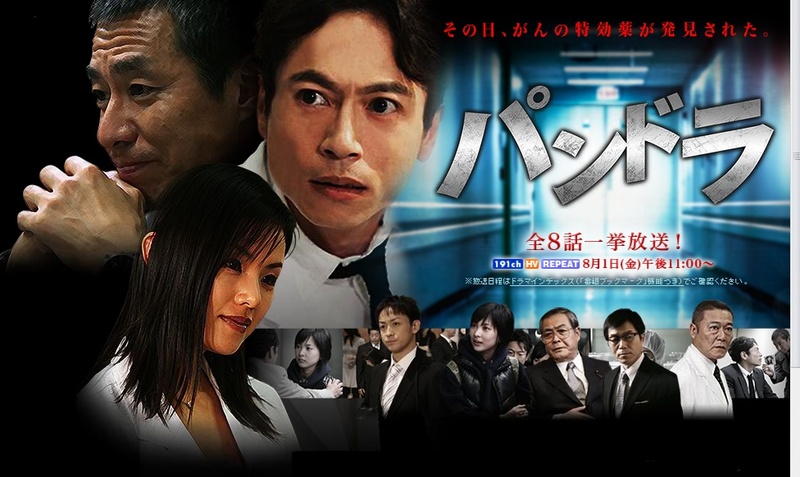 Suzuki is disheartened and completely at a loss by this but then he comes across a girl, Manami (Mitsuru Hirata), who is suffering from terminal cancer. With help from her, he successfully carries out clinical trial. Yet, things take an unexpected turn. What will become of Suzuki, Manami and all the others around them? What is the fate of this new drug? Pandora’s box released all the evils as soon as it was opened. What is it that is ultimately left inside? maryann Nov 05 2010 2:58 am sorry but some of it is wrong well the girl whos suffering from illness is mizuno mitzuki tanimura.